To integrate a Box account with your Zunos account, simply follow the following steps below. 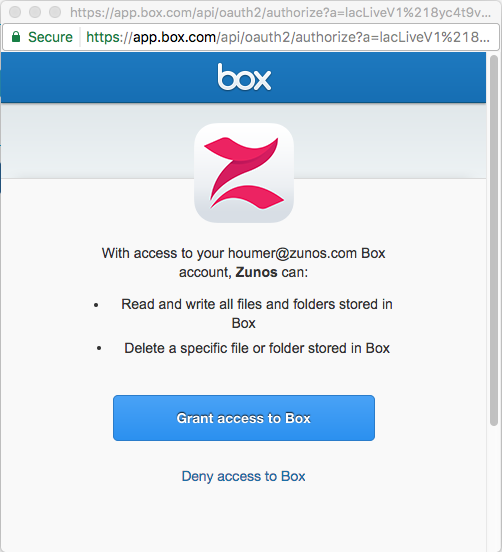 Before you can start this process, ensure you have your Box credentials handy or log in to both Box and Zunos to ensure a smooth integration. In the Zunos Admin portal, click on the Settings section. 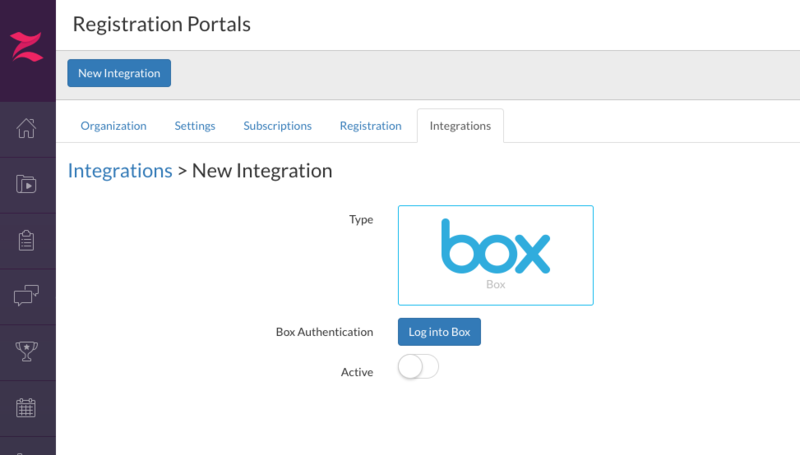 Click on the Integrations tab and Create a New Integration. Click on Type: Box and set the Integration to active. A button will appear labelled Log into Box, click this button. 5. A pop-up window will appear requesting to grant access to Box, click Grant Access to Box. If you are already logged into Box the integration process will commence, If not you will be prompted to enter your login credentials. 6. The integration should now display the status of Synced. 7. 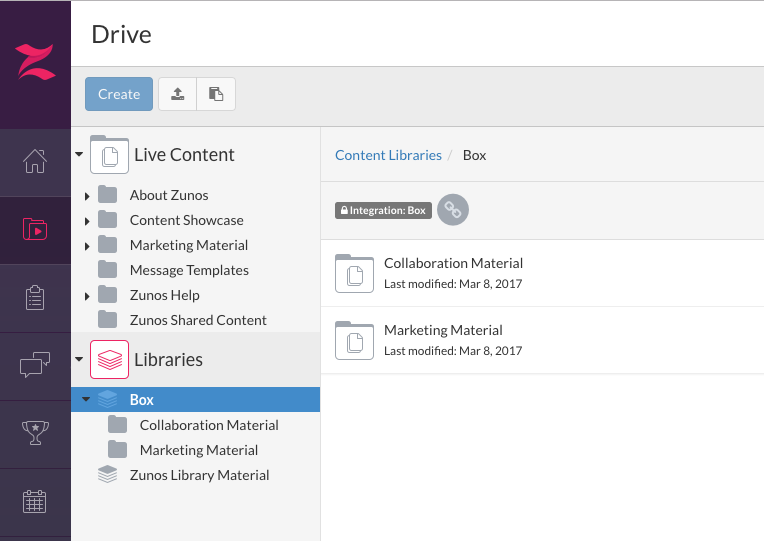 Click on your Zunos Drive section and now under Libraries you will find your Box folder directory now available.